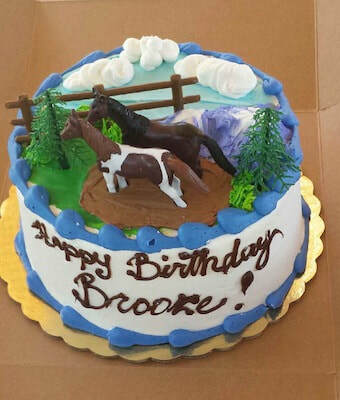 Equine Unlimited Inc | Birthday Parties - Equine Unlimited Inc.
Have an Unforgettable Birthday Party at Equine Unlimited!! 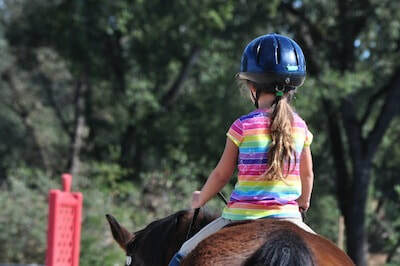 A horse-themed party is one that children will remember for a lifetime. Schedule an incredible party at Equine Unlimited and let the fun begin. 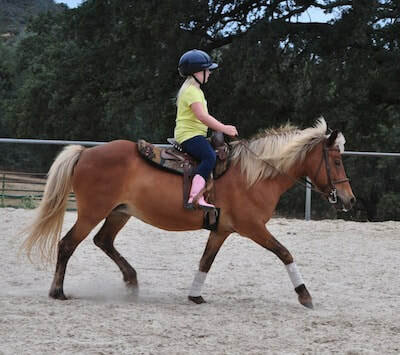 Each child will have a unique horse experience, that includes grooming and riding a wonderful horse or pony. After a fun ride, the party guests will be given the opportunity to complete a unique craft project - painting a real horse shoe. 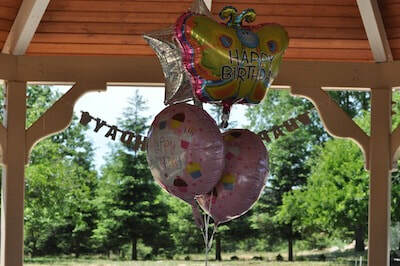 All parties include the use of one of our gazebos and picnic tables, which you are welcome to decorate. 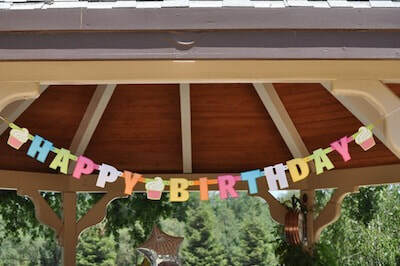 The gazebo areas are a great place to serve snacks, lunch and/or birthday cake. An outside refrigerator and microwave are also available, along with two beautiful bathrooms, with hot & cold running water. $120 for parties of 3 or less. The birthday child receives a special gift. We provide kind, professional handlers so you can sit back and relax. Use of the horses and staff is limited to 1.5 hours, but you and your guests are welcome to stay up to 30 min longer. Feel free to relax and enjoy the fresh air. Your party can include up to 20 riders. Riding time will be divided into groups of no more than 6 riders at a time for safety. Overtine charges may apply. Boots are required. This is safety issue. Most boots work well, as long as they go above the ankle and have a small heel. Equine Unlimited, Inc. now offers both payment and scheduling services Online. Final payment for the party can be made on or before the reserved date. Please note that we have a 72 hour cancellation policy. 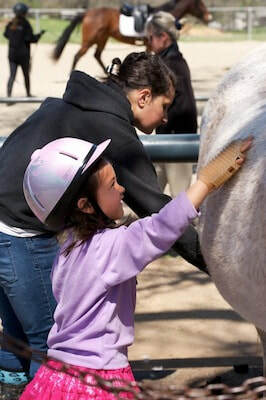 If you have any questions, please feel free to email us at events@equineunl.com or call Malinda at (916) 751-5446.